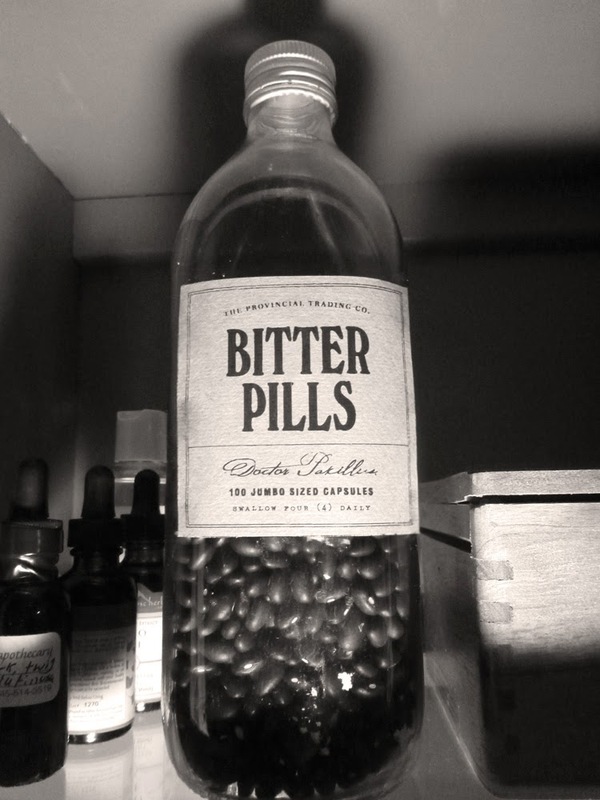 The Provincial Trading Co. is proud to carry Doctor Paxillus' "Bitter Pills". 100 jumbo-sized capsules in each container: swallow at least four daily. Inconveniently-sized and hard-to-swallow, not even a spoonful of sugar can help this much-needed medicine go down.